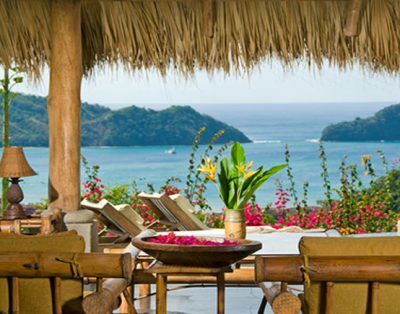 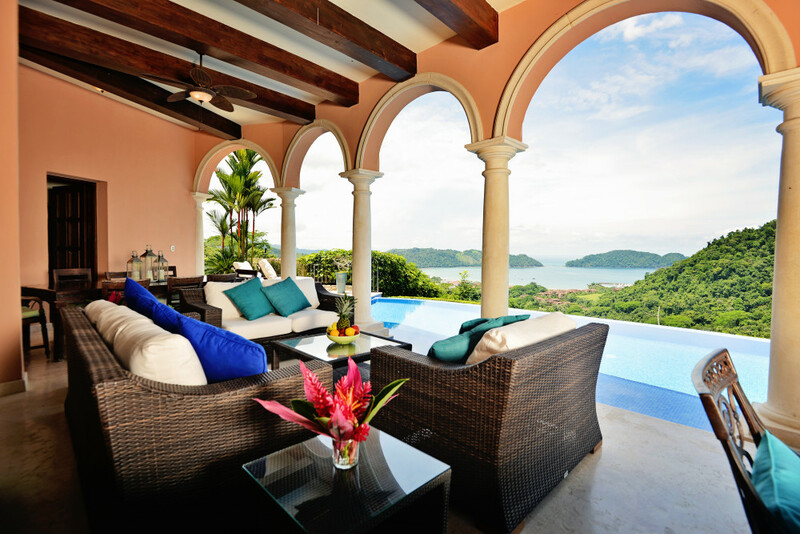 Immerse yourself in elegant tranquility as you take in expansive views of Costa Rica’s Herradura Bay. 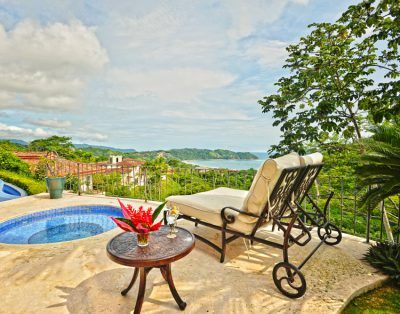 High atop a hilltop setting in the Los Sueños Resort and Marina community, this rental villa offers you true relaxation in an elegantly appointed base for your Costa Rica vacation. 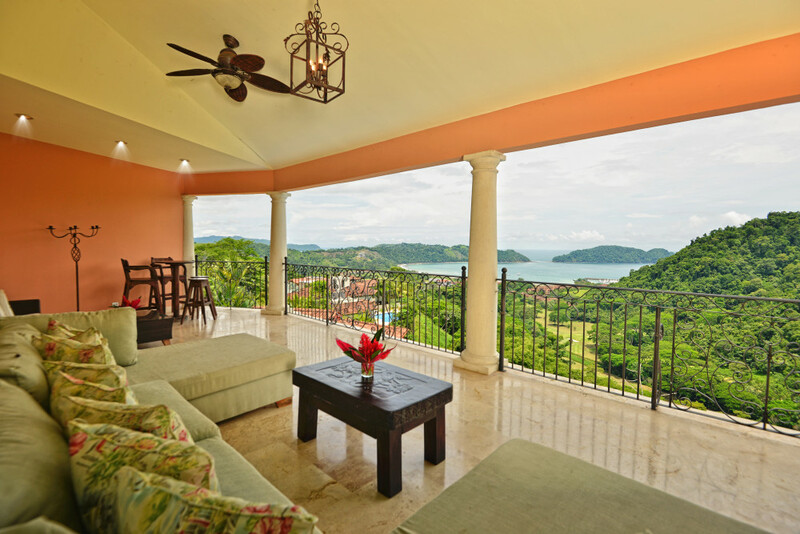 Casa Solara gives you access to every amenity imaginable with spacious interior and exteriors spaces perfect for creating lifelong memories in the tropical paradise of Los Suenos, Costa Rica. 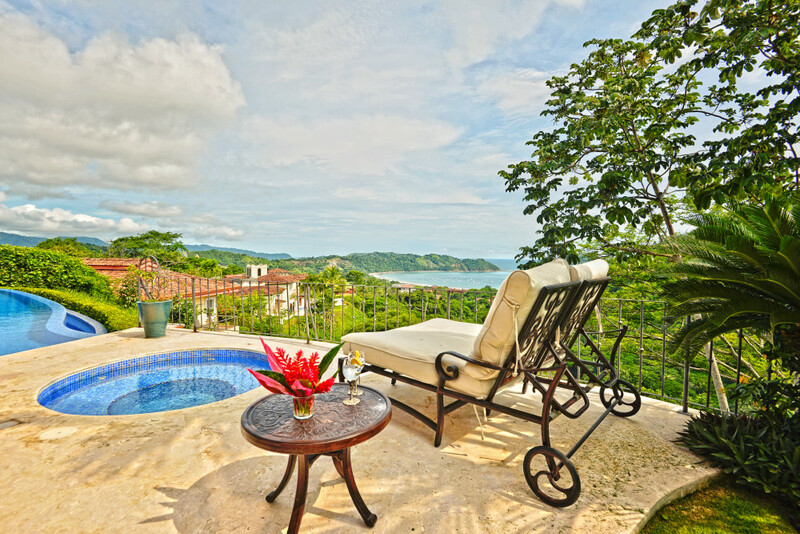 With windows in the common areas that look out to panoramic views of the Pacific Ocean, Los Sueños Marina and La Iguana Golf Course, opening to a spacious pillared terrace leading out to an infinity pool and Jacuzzi, Casa Solara offers luxurious outdoor living space to laze away the days. 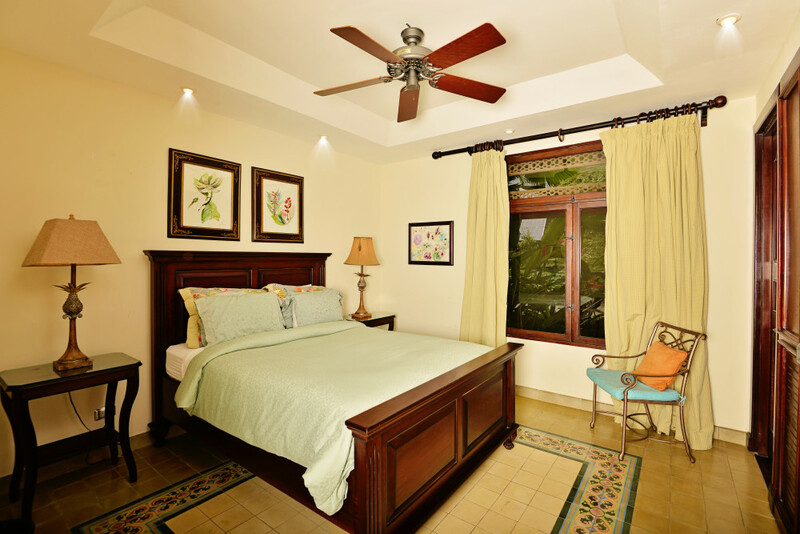 Inside you will find 5 luxuriously fitted bedrooms, each with private bath. 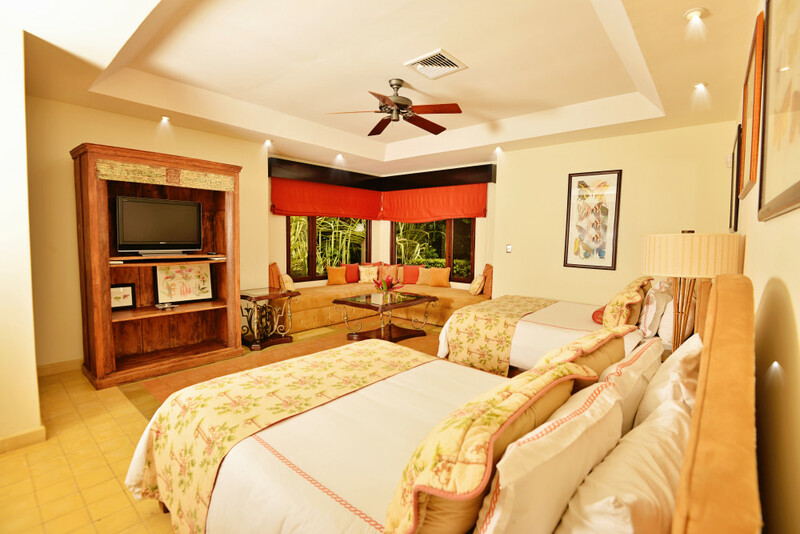 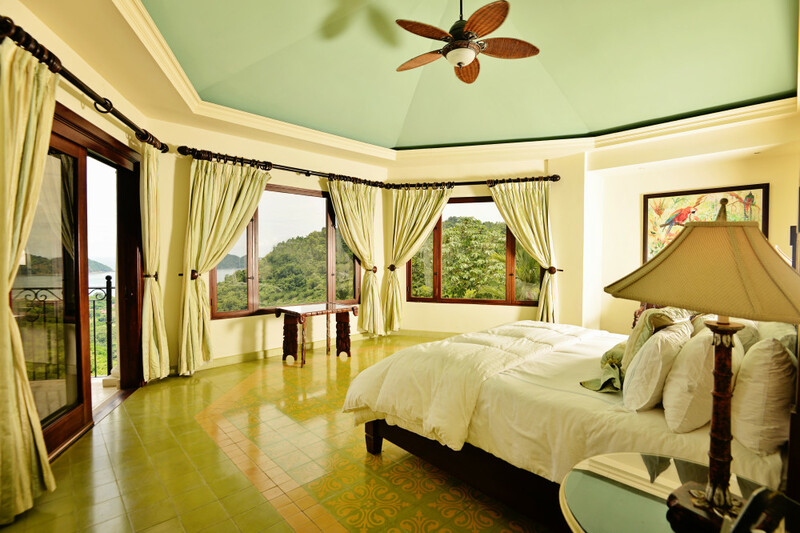 Each of the four downstairs bedrooms has views of the surrounding rainforest and ocean, and the master suite, located on the upper level, comes complete with an entertainment room and opens onto a private terrace delightfully furnished to help you enjoy equally breathtaking vistas. 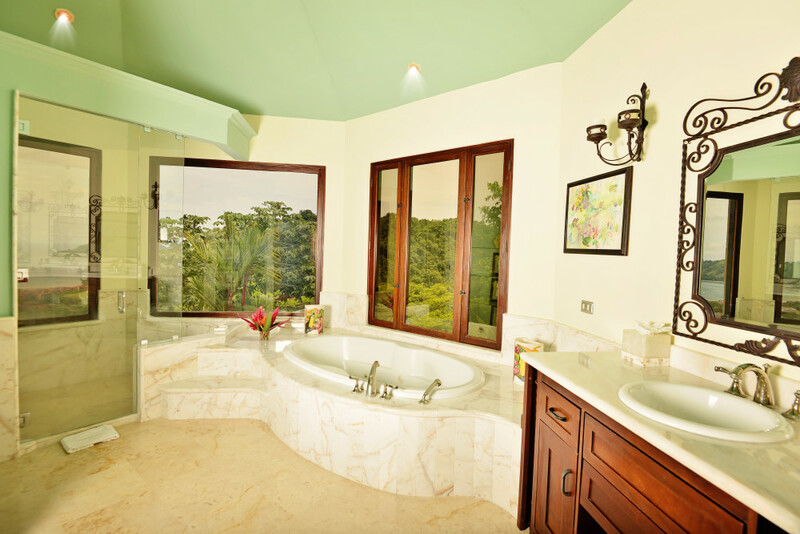 The en suite bathroom’s sunken hot tub enjoys seascape and forest views, as well, thus providing for the ultimate in relaxation. 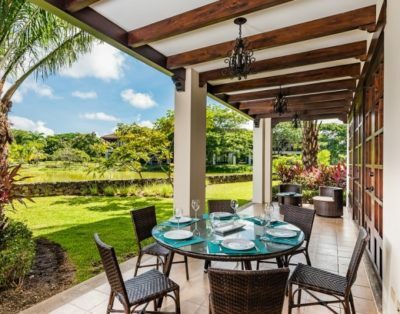 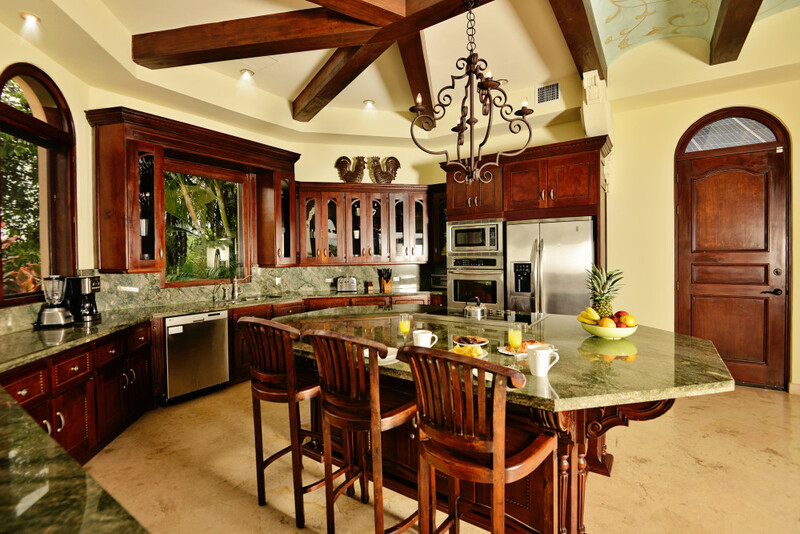 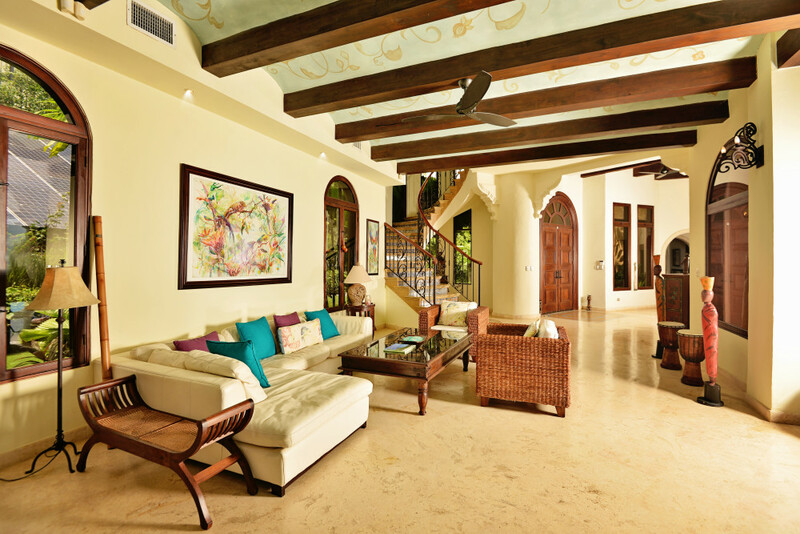 Casa Solara’s décor and furnishings complement its interior design to create an open and well-lit ambiance.The poolside terrace features a large al fresco dining area, lounge furniture and a gas grill. 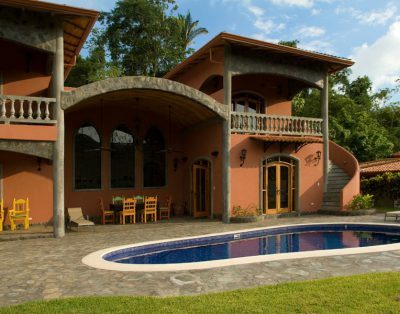 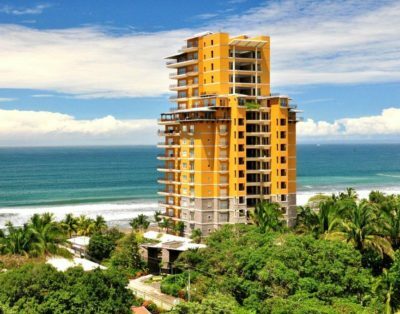 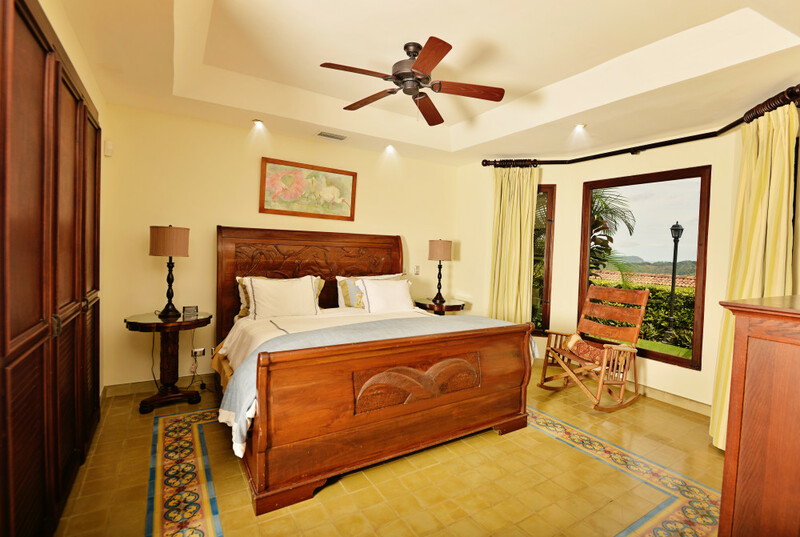 Casa Solara rightly deserves its place in the sun at Los Sueños Resort & Marina. 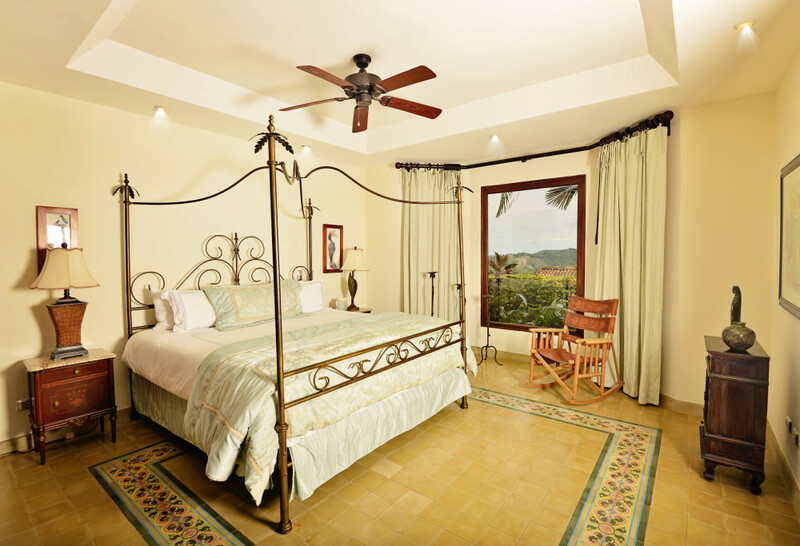 The villa, which comfortably accommodates up to 14 people, is air conditioned throughout and includes a fully equipped gourmet kitchen, laundry facilities and garage. 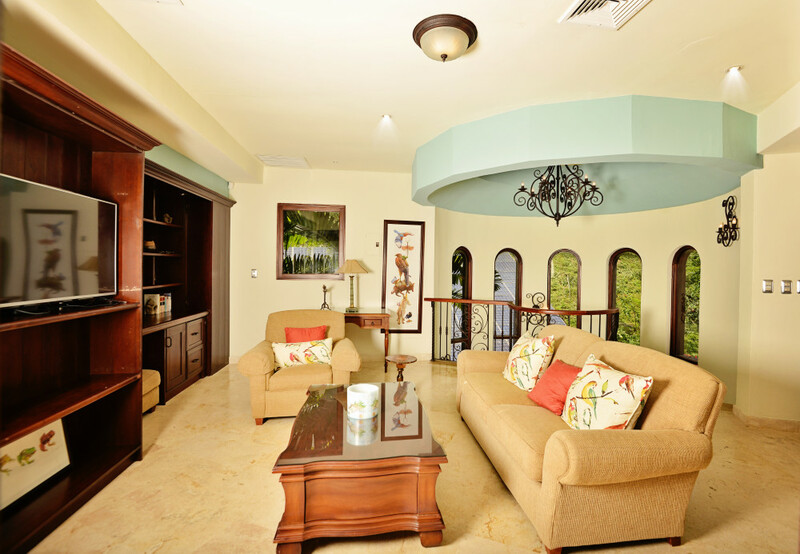 Well-suited for events, family vacations or large groups.